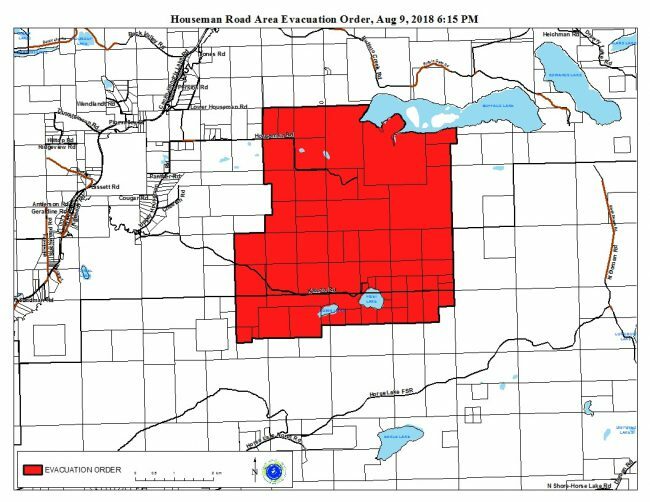 Effective immediately, the Cariboo Regional District has issued an evacuation order for the Houseman Road Area, which is about 12 kilometres northeast of 100 Mile House. “Due to immediate danger, members of the RCMP or other groups will be expediting this action,” said Emily Epp, CRD Manager of Communications. Residents should register with Emergency Support Services (ESS) at the Community Hall in 100 Mile House at 240 Third Street. 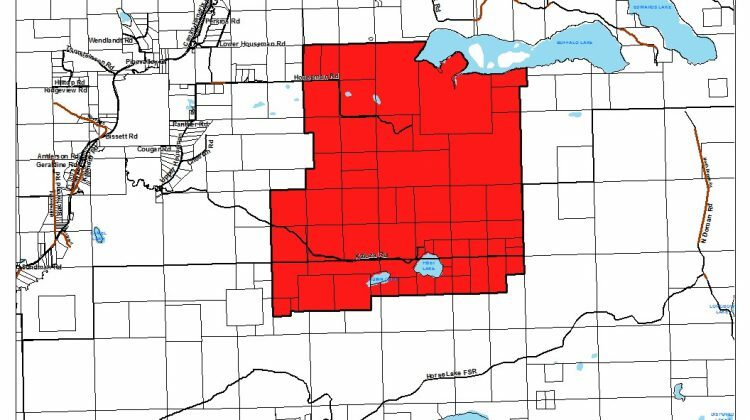 The wildfire responsible for the evacuation is currently 12 hectares in size according to Fire Information Officer, Robyn Clark. “There were 15 firefighters, an aircraft and heavy equipment on site today,” Clark said. “Airtankers completed action today and are continuing to provide support. The focus will be to establish containment lines.